John Stephens (born December 28, 1978 in Springfield, Ohio), better known as John Legend, is a Grammy award winning R&B singer-songwriter, multi-instrumentalist, poet and actor signed to Kanye West's G.O.O.D. Music label. Prior to the release of his debut album Get Lifted in 2004, Legend's career gained momentum through a series of successful collaborations with multiple established artists such as Jay-Z, Alicia Keys and Lauryn Hill. He released his second album, Once Again in 2006, and his latest release, 2008's Evolver showcased a more experimental and upbeat side of Legend. He is the recipient of six Grammy Awards, and in 2007 he received the special Starlight award from the Songwriters Hall of Fame. 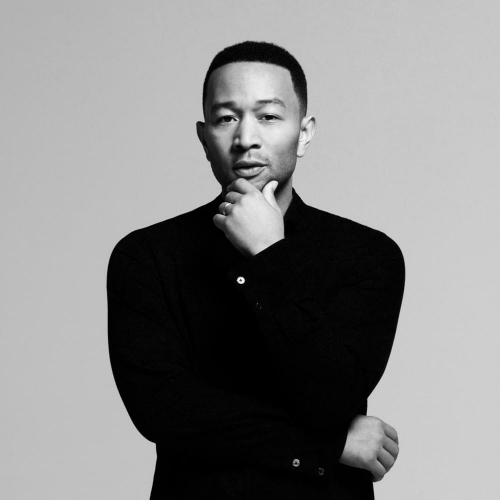 You can get Cheap John Legend Tickets for his next performances. Legend also played the piano on Lauryn Hill's 1998 song "Everything is Everything" and sang background vocals on Jay-Z's "Encore" and Alicia Keys' "You Don't Know My Name". Legend frequently cites gospel, R&B, and hip hop music as his main musical influences. Legend released his critically acclaimed and Billboard Top Ten second album, Once Again, in October 2006. Produced by Raphael Saadiq, Kanye West and will.i.am, it is again a mixture of gospel and classic soul showcasing his extraordinary voice, particularly on "Show Me". Grammy Award Wins: *2005 Best New Artist *2005 Best Male R&B Vocal Performance: "Ordinary People" *2005 Best R&B Album- Get Lifted *2007 Best Male R&B Vocal Performance: Heaven *2007 Best R&B Performance by a Duo or Group: Family Affair Neo-soul singer and pianist John Legend combined the raw fervor of contemporaries Cody ChesnuTT and the burning precision of D'Angelo. Born John Stephens, Legend was a child prodigy who grew up in Ohio, where he began singing gospel and playing piano at the tender age of five. Legend left Ohio at 16 to attend college in Philadelphia, and it was there that he first found a larger audience. Not yet out of his teens, Legend was tapped to play piano on Lauryn Hill's "Everything Is Everything" in 1998. After completing college, he moved to New York, where he began to build a loyal following playing in nightclubs and releasing CDs that he would sell at shows. He also became an in-demand session musician, playing and occasionally writing for a wide array of artists, including Alicia Keys, Twista, Janet Jackson, and Kanye West. It wasn't until West signed the young talent to his new label that he adopted the Legend name with 2004's Solo Sessions Vol. 1: Live at the Knitting Factory. Get Lifted, his first studio album, was released later in the year. On the strength of enduring single "Ordinary People," the album reached the Top Five of the Billboard 200. This led to three Grammy Awards: Best R&B Album, Best R&B Male Vocal Performance, and Best New Artist. Once Again, which peaked at number three on the Billboard 200 and number one on the R&B/Hip-Hop Albums chart, followed in October 2006. Live from Philadelphia, sold exclusively at Target stores, was a successful stopgap release that predated October 2008's Evolver.